Recovery specialists are offering some sound advice for Louisianians whose homes and property were hit by Hurricane Isaac: Protect your family’s health and your own by treating or discarding mold- and mildew-infected items. 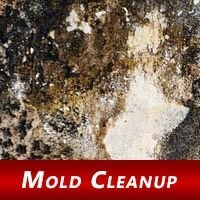 Health experts urge those who find mold to act fast. Cleaning mold quickly and properly is essential for a healthy home, especially for people who suffer from allergies and asthma, said the Federal Emergency Management Agency (FEMA). Mold and mildew can start growing within 24 hours after a flood, and can lurk throughout a home, from the attic to the basement and crawl spaces. The best defense is to clean, dry or, as a last resort, discard moldy items. Although it can be hard to get rid of a favorite chair, a child’s doll or any other precious treasure to safeguard the well-being of your loved ones, a top-to-bottom home cleanup is your best defense, according to the experts. Wood and upholstered furniture, and other porous materials can trap mold and may need to be discarded. Glass, plastic and metal objects and other items made of hardened or nonporous materials can often be cleaned, disinfected and reused. Carpeting is a problem because drying it out does not remove mold spores. Carpets with mold and mildew should be removed.